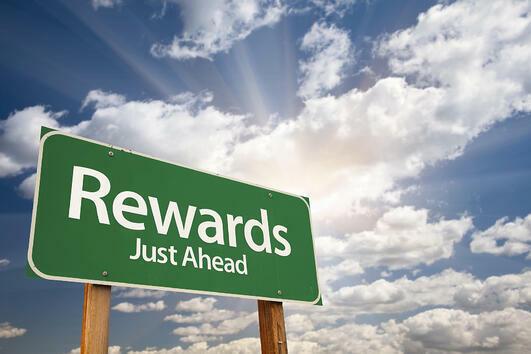 Are You Reaping The Rewards After Implementing EHR Software? Electronic health records (EHR) sometimes get a bad reputation due to the high cost of implementation as well as the operational challenges they pose. However, it’s important to note that many physicians have successfully incorporated EHRs into their practices and are reaping the benefits from this powerful technology. HealthIT.gov has published a variety of these success stories on its Web site. We’ve compiled some of the most important takeaway points pertaining to small practices and solo practitioners. Consider the following innovative ways in which practices are using EHR technology to improve care. 1. Reducing long-term operational costs. Even though the initial cost of an EHR is significant, many practices report that operating costs decrease incrementally after implementation. Dr. Michael Salesin, a Michigan-based gynecologist, reports that the EHR presents many financial benefits, including the need for fewer FTEs, lower paper costs, and improved workflow. Read his story here. KC Arnold, a nurse practitioner and owner of a diabetes management practice, also reports increased efficiency thanks to the EHR. More specifically, she is able to manage six to eight prescriptions per patient in half the time it used to take in a paper-based system. Read her story here. 2. Enhancing patient communication and engagement. Dr. Michele C. Reed, owner and medical director of MS Family Medicine Health Care, uses the EHR’s patient portal to engage patients in a wellness program. Read her story here. Dr. James Holsinger, an Iowa-based solo practitioner, also uses the EHR to engage patients. He and his staff create lists of patients who need preventive screenings and then use the patient portal and secure messaging to schedule those screenings. Automated EHR reminders also prompt staff members to follow-up with patients after annual visits to ensure compliance with treatment plans. Read his story here. Dr. Sherril Rieux, a physician in a small primary care practice in California, uses the EHR to generate reports for patients who are due for screening colonoscopies and pap smears. She then engages these patients in conversations about preventive health during face-to-face visits. Read her story here. 3. Performing population health management. Dr. Alan Barton, of Colorado River Pediatrics, uses the EHR to analyze trends among his patients with asthma. For example, he used the technology to confirm a suspicion that patients living near agricultural areas were more likely to develop asthma. Sorting patients by zip code and diagnosis enables him to identify at-risk patients and provide more aggressive preventive care. Read his story here. Dr. Gregory Reicks, a family practitioner at Foresight Family Physicians, connects the practice’s EHR to the local health information exchange organization to electronically track admission, discharge, and transfer messages. This allows him to track and follow-up with patients who are hospitalized and then discharged to reduce the number of re-admissions. Read his story here. How Important is Workflow Mapping to Successful EHR Implementation? The stories published on the HIT Web site reflect the endless possibilities of EHR technology. Practices are using EHRs to improve healthcare quality, engage patients, reduce costs, provide more comprehensive care, and even save lives. By addressing the barriers and challenges of implementation, physician practices can tap into the benefits of this innovative technology. If your medical office is in need of efficiency, organization or better & innovative solutions, contact us for a live demo and consultations. What are the top 5 CPT codes that get denied? How would you maximize ROI after EHR Replacement?